Where are Recent “Pharm-Tox” Graduates? One hundred fifty-one (151) students have graduated with a Bachelor of Science Pharmacology-Toxicology degree from UW-Madison in the past ten years (2008-2017). The upcoming classes of 2018 and ’19 have 20 and 24 students, respectively. The degree is frequently used to develop a strong biomedical science background from which one can prepare for admission to schools of medicine, pharmacy, and other health professions programs. For 2008-17 alumni, 35 (23.2%) have earned or are currently pursuing MD or DO degrees, 32 (21.2%) have earned or are currently pursuing Doctor of Pharmacy (PharmD) degrees, and 13 (8.6%) have earned or are pursuing degrees in other allied health professions, including physician’s assistant medicine (2), optometry (3), veterinary medicine (2), dentistry (2), nursing (3), and podiatry (1). Together, this accounts for 80 of the past 151 graduates (53%). The degree also affords a strong research foundation for graduate work in biomedical science fields. Among 2008-17 alumni, 33 (21.9%) have pursued further training at the graduate school level–generally in PhD programs. Pharmaceutical Sciences, pharmacology, and toxicology (3) have been the most common graduate disciplines of recent alumni; these totals include four students enrolled in prestigious medical scientist (MD/PhD) programs. Other graduate disciplines of PharmTox alumni include biomedical sciences, cellular/molecular biology, chemistry, medicinal chemistry-molecular pharmacology, neuroscience, and physiology. Several of these alumni are presently in postdoctoral research positions at various universities and research institutes nationwide (currently, 2008-17 PharmTox alumni who have earned PhDs are “postdoc-ing” or working at institutions including Amgen, AbbVie, Emory University, ICF International, Korea Research Institute of Chemical Technology, PPD, University of Sydney, and Vitargent Biotechnology Limited. Further, one alumna of the past decade (0.7%) has earned a J.D. degree and works in intellectual property and patent law. Students completing the program are well qualified to pursue entry-level scientific employment in industry (e.g. biomedical, biotechnology, consumer products, contract research organizations, or pharmaceutical). Of the program’s 365 overall graduates, 62 have achieved the degree of MD or DO and 28 others are currently enrolled in such programs (those 90 equate to 24% of all Pharm-Tox alumni). 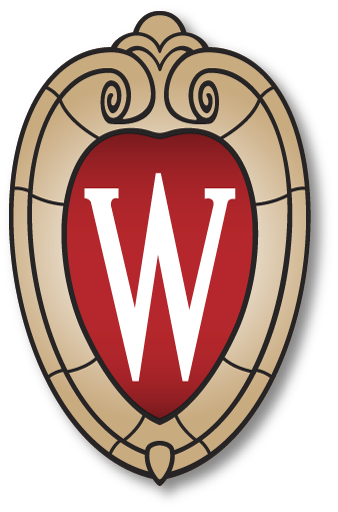 Medical schools attended include Wisconsin (30 PharmTox alumni), the Medical College of Wisconsin (22), as well as Minnesota (5), Rush University (3), Michigan (2), Ross University (2), Washington Oregon Health & Science (2), Boston University, Case Western Reserve, Chicago Medical School at Rosalind Franklin, Cornell, Mayo’s Medical School, the University of Chicago, Illinois, Iowa, St. George’s, University of Pittsburgh, Vanderbilt, Virginia Commonwealth, Washington University in St. Louis, and five institutions of osteopathic medicine. Fields of medical specialization among graduates include allergy & immunology, anesthesiology (8), cardiology (4), dermotology (1), emergency medicine (6), family practice (3), hematology (1), internal medicine (7), neurology (1), nuclear medicine (1), obstetrics/GYN (2), orthopedics (3), otolaryngology (4), pediatrics (11), plastic/reconstructive surgery (1), psychiatry (2), pulmonary medicine (1), radiation oncology, radiology (2), general surgery (4), and urology (2). Among these aforementioned, three graduates have achieved PhDs via the physician-scientist (MD-PhD) academic track and another 4 alumni are currently in such programs.